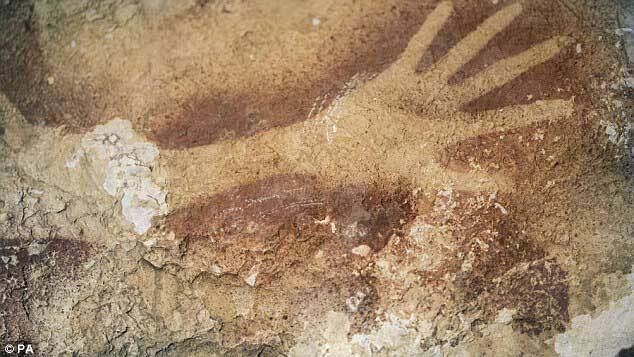 On a day such as this, about 40,000 years ago, in a cave on the Indonesian Island of Sulawesi, an artist made a statement. It was one of many and one by which this particular individual, probably a young girl, was able to express herself in a language we recognise today. She representented her own hand, marking its outline with red ochre. A basic human communication. “I am here. This is me.” It’s a delightful image, simple but profound. All the more so for the unimaginable length of time it spans. Aristotle, Tutankhamun and Jesus Christ are tens of thousands of years in the future, yet here is a message as clear and representative as the day it was made. Cave dwellers used naturally occurring ochres and burnt firewood to make their marks. In 40 millennia the effectiveness of these pigments has never been surpassed. Charcoal and red chalk underpinned Renaissance drawing and still today they remain the finest drawing media for any artist wishing to show his or her hand.